Since 2012, the United States has ramped up wood pellet exports to meet the high demands of Europe. 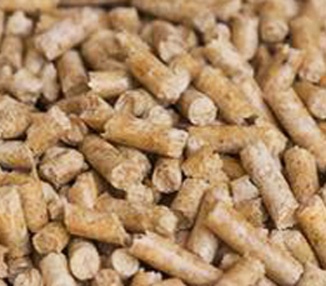 According to the Institute for Energy Research, demand for pellet fuel in the United Kingdom alone has increased 47 percent from 2014 to 2015. With sustainable forest practices, pellets are environmentally friendly and can be mass-produced. The U.S. has become the largest exporter in the world. One power plant in north-central England has been completely converted from coal to wood pellet biomass. This plant depends on the U.S. to supply 58 percent of its pellet fuel needs and Canada for 22 percent. Currently, the UK is focused on converting a number of of its coal-fired power plants to biomass. By 2020, the U.S. International Trade Administration projects pellet exports to Europe could be between five and 15 times what they were in 2012. Such a dramatic increase in wood pellet exports means a considerable revenue increase for wood pellet manufacturers. According to Biomass Magazine, there are 184 wood pellet manufacturing plants located across the U.S. The world's need for wood pellets is expected to reach 50 million metric tons by 2024 and continue to climb. Currently, wood pellets are transported across the U.S. to coastal ports via rail. Savannah, Georgia is the site of the largest export port of wood pellets in the nation. Formerly used for the export of kaolin clay for the paper industry, the port features 26 large concrete silos for pellet storage, a railcar storage yard with the capacity to handle 125 units and a railcar receiving system capable of operating at 600 tons per hour. The export portion of the port boasts dual ship loaders to minimize vessel shifting, with an 800-ton-per-hour continuous vessel loading rate. From the Carolinas to Florida and west to Louisiana, ports are now accepting or gearing up to accept wood pellets for export and they will depend on those pellets reaching the ports on railcars. 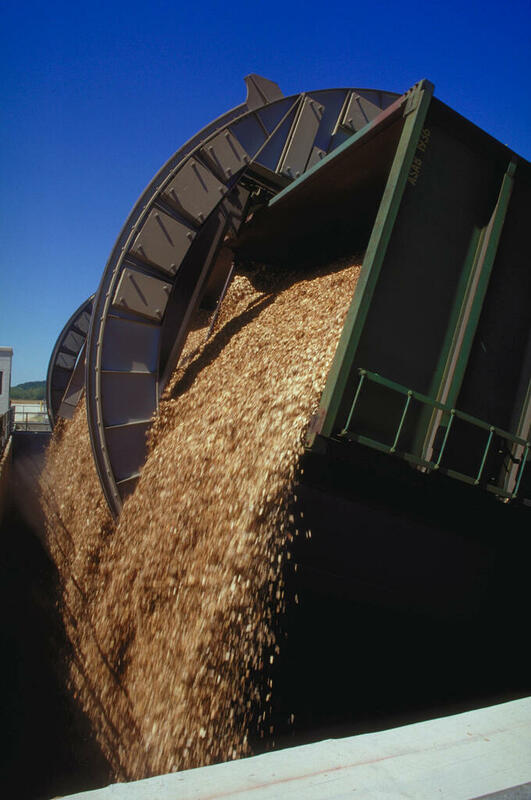 The majority of wood pellet manufacturers are located away from major coastal ports, so the need exists to transport the pellets via trains to coastal ports and terminals and then onward to the European markets. Wood pellets are easy to transport by railcar. Once they reach the port, rotary railcar dumpers can transfer them to conveyors or to storage in sealed silos until they are shipped onward to Europe. Rotary railcar dumpers from Heyl & Patterson can safely and efficiently transport wood pellets by bulk to their destination. From East Coast ports to terminals all around the world, Heyl & Patterson rotary dumpers can be found wherever efficient railcar unloading operations are needed. These unloaders feature semi-automatic dumping with cycle times as fast as 35 seconds per car, and a dumping rate of 5,000 tons per hour. The rotary dumper is a workhorse for high speed automatic unloading or rotary coupled cars, and it is also ideal for random car applications where yard locomotives are used for train handling. Heyl & Patterson's precision methodology assures successful operations for many decades to come. When circumstances call for special site or environmental considerations, standard features can be customized to adapt. So when wood pellet exports increase as projected, a railcar dumper installed today will still handle the heavier demands and payloads in the future.